I just loved this movie. I’m a junkie for all movies/social documentaries that advocate for healthier lifestyles, whether it’s crazy like Super Size Me, or as ‘juicy’ as Fat, Sick & Nearly Dead. They are so inspiring and I’ve learned a great deal from them. Forks Over Knives was no exception. The only problem is, to be honest, I watched it really late at night while feeling very exhausted so I fell asleep towards the end and missed a few bits and pieces. So while hubby’s away I’ll be watching the parts I missed tonight. There is no better way to spend my Friday night when home alone. So why am I talking about it if I haven’t even finished watching it? Well, I couldn’t help myself. The movie features mainly two experts, Dr. Colin T. Campbell and Dr. Caldwell B. Esselstyn, who through their respective fields of research and clinical medicine, discovered how awesome a whole-foods plant-based diet is! I am a huge fan of Dr. Campbell’s work and consider his book, The China Study, one of my all time favorites. There’s nothing like presenting such information in movie format with the research to back it up, the awesome graphs, the crazy statistics and of course, the folks to who went from drab to fab by the end of the movie just by following their advice. I can’t help but think about my own diet as I watch this and how much more I could implement fruits, vegetables, nuts and seeds into my life. While I have come a really really really long way over the past several years, the type A in me just wont rest on those laurels. I’m nowhere near perfect (don’t care to be) and want to finally get rid of my addictions (sugar, simple carbs), excuses, symptoms and excess weight. I am really thankful for juicing in my life because it is one way that I have found to take in lots of those great vitamins and nutrients found in fruits and vegetables. I still do though make sure to have several servings of fruits and vegetables whole so I can get that fiber! I had some papaya today for a mid-day snack and it was so delicious I gobbled it up in 2 minutes. Its my new favorite fruit. I loved it so much growing up and its so great to have rediscovered it. Anyway, here’s to incorporating more whole (and preferably raw) plant-based foods in our meals! Go FREGGIES!!! I totally just coined that….and of course nuts, seeds and all that good stuff. This is probably the simplest and sweetest of all juices! Purchase organic oranges if possible as they contain many more nutrients per orange and are therefore cheaper if that’s what you’re going for when you buy you’re fruits and vegetables. Quality over quantity, right? Wash, peel and quarter you’re oranges and make sure to use a low setting on the juicer as they are soft and require less power to juice. Juice oranges that are room-temperature to get more juice out of them or soak them in warm water for several minutes if they are out of the refrigerator. 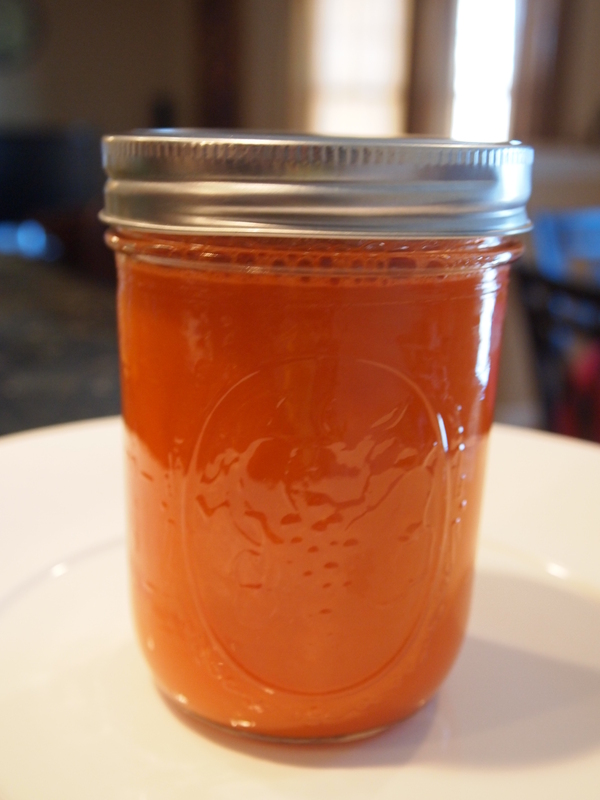 This juice is a recipe I made up as a nod to one of my favorite homemade salad dressings. It’s a dressing with carrots and ginger that I love to make every once in a while. I discovered it on one of my favorite websites, allrecipes.com. It can be tweaked to your liking. I really don’t measure anything when making the dressing. The ingredients are carrots, ginger, rice vinegar, very small amount of sesame oil and the sweetener of your choice such as honey, coconut nectar or agave. I blend all the ingredients in my mini food processor and ‘taste-as-I-go’. I usually have this dressing over a bed of organic baby spinach with chopped mango. Yum Yum…my mouth is watering just thinking about it. So anyway, I was in the kitchen one day thinking of this dressing and decided to juice carrots with ginger. I usually use about 6 carrots and a small piece of ginger the size of 1/2 my thumb….lol! Just make it to your taste! Experiment all the way each time you make it and add less or more ginger as you please. I still remember the first time I bought and tasted an organic carrot. It definitely was the first organic vegetable I began buying. It was like night and day taste-wise compared to conventional carrots. The organic carrots were so much sweeter and juicier and I have been hooked since then. Wash carrots thoroughly, cut off the tops and tails and juice them whole with the peel. Wash the small piece of ginger as well and juice whole or peel if you prefer to. Carrots are loaded with beta-carotene which is a pre-cursor to vitamin A. 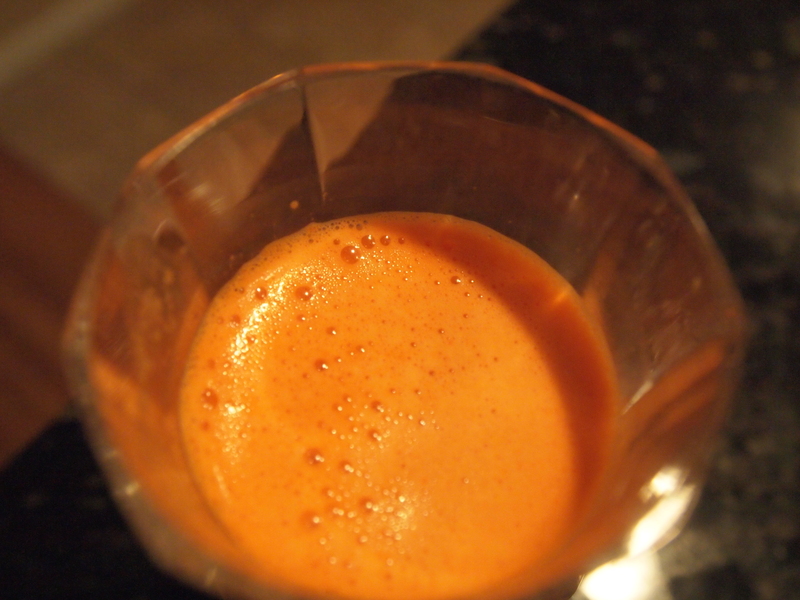 Carrot juice will therefore be great for skin, hair nails and (famously for improving vision. They really do have a high amount of beta-carotene which acts a powerful anti-oxidant and therefore prevents inflammation and disease. 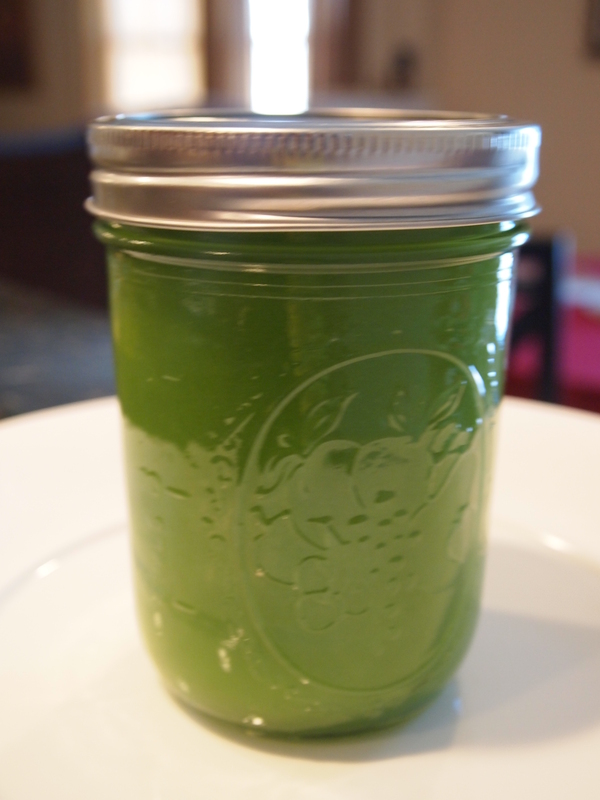 This is a wonderful and simple green juice to make that’s ridiculously healthy and nutritious. I really just made this recipe up as I am beginning to do more and more and it came out wonderfully. 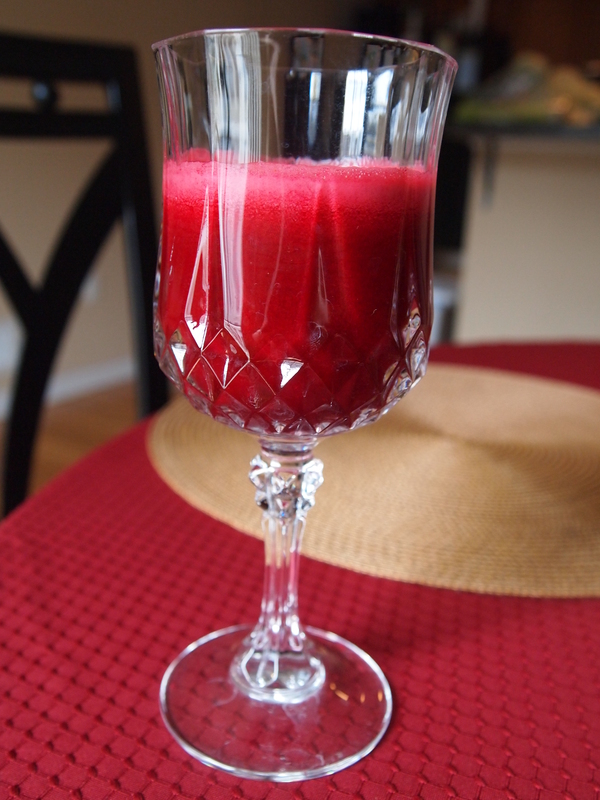 Every single juice recipe I post is a juice I consider extremely delicious and nutritious. I have made plenty of juices that taste awful but I see no point in wasting space talking about them. When juicing cucumbers that are not organic I wash and peel them. I know there are still chemicals that are within the juice of the cucumber if its not organic but it definitely reduces the amount if you peel them. 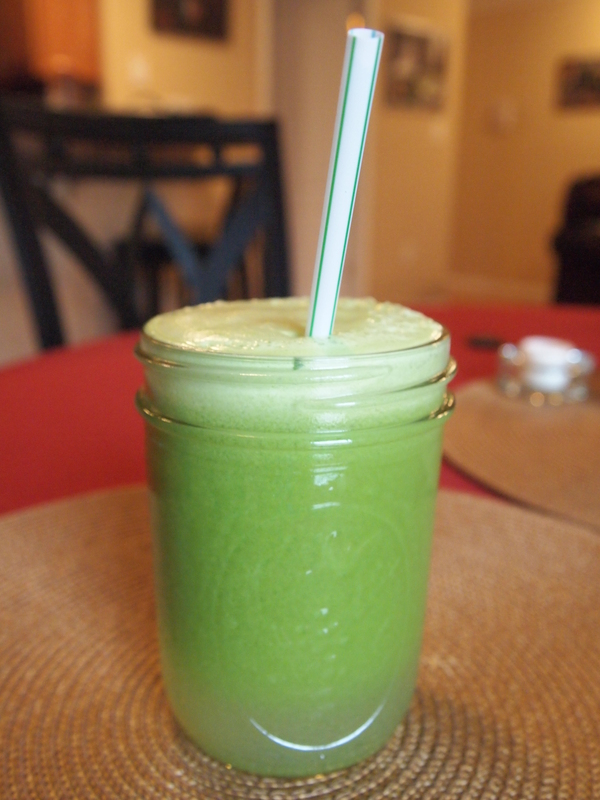 I used about 4 stalks of celery, 2 kale leaves, one whole cucumber and one green apple for this recipe. Everything was organic besides the cucumber as I just couldn’t find one. Here are some of the wonderful nutrients and benefits of cucumber juice! 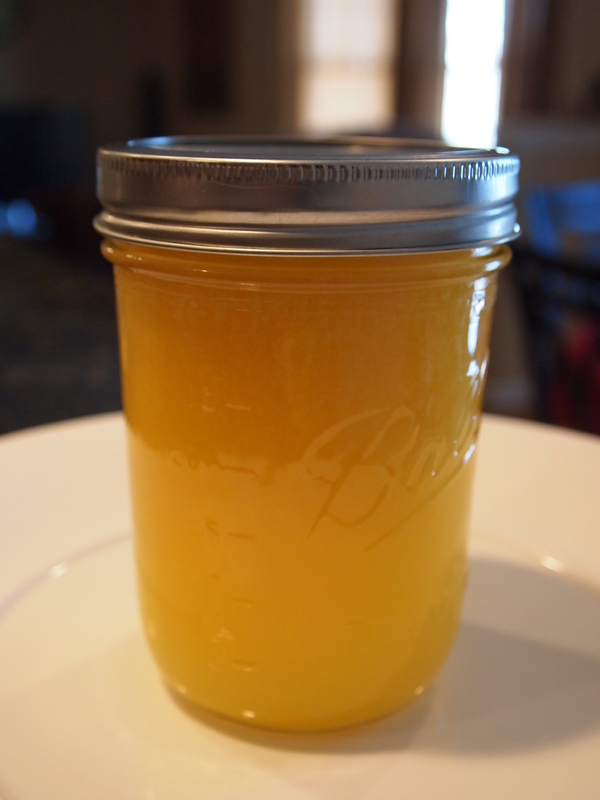 Here’s the third installation of Juice Recipes and it’s a recipe I made up with what I had in the fridge today. 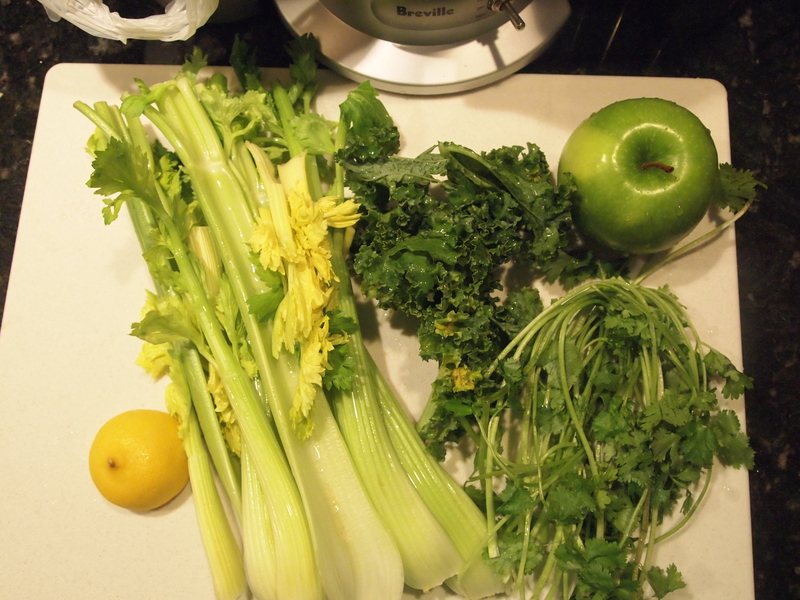 Celery, Kale (one leaf), Cilantro, Granny Smith Apple and 1/2 a lemon. note: I peel my lemons so as not to make it too bitter and as always I take out the apple’s seeds. Always make sure to thoroughly wash all fruits and vegetables, especially leafy greens. I’m really making an effort to be creative with my recipes now and boy is it paying off because today’s green juice is just oozing with vitality. It was refreshing and invigorating. There’s no doubt this would be a ‘Hall-of-Famer’ should someone choose to create such a thing for homemade fresh vegetable & fruit juices. Here’s a breakdown of some of the awesome nutrients and benefits for just 2 of the juice’s ingredients. Kale: This is just a super green! I doubt there’s anyone who hasn’t heard how amazing and nutritious our dark leafy greens are! Here’s just a few benefits of this great green. It’s got vitamin A (boat loads! ), vitamin C, vitamin K , Folic acid, potassium, calcium and iron. It’s an incredible anti-oxidant.